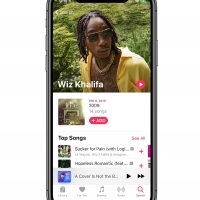 Apple Music is Apple's streaming music service, comparable to other similar streaming services like Spotify, Amazon Music Unlimited, Google Play Music, Tidal, and others. 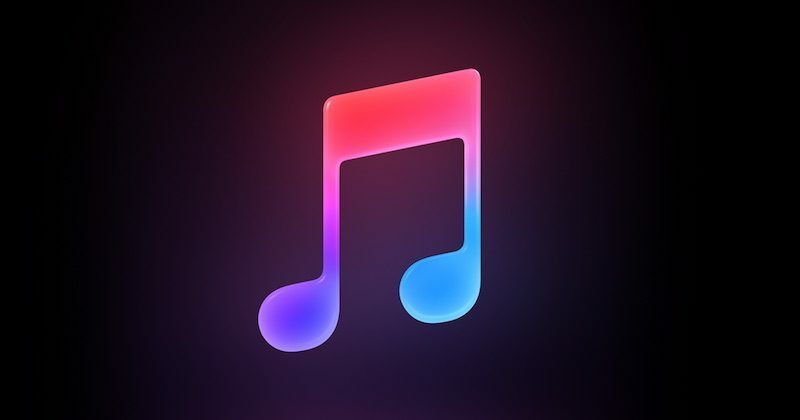 Apple Music boasts access to a total of 50 million songs. 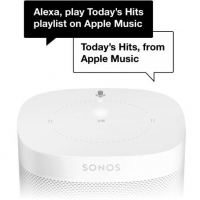 Content can be streamed or downloaded for offline play, and there are also song and genre-based radio stations available along with the curated Beats 1 radio station. 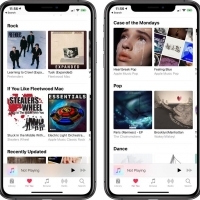 Apple Music integrates with your existing iCloud Music Library, so you can combine Apple Music songs with songs that you have previously purchased on iTunes all in one unified location. All of the streaming services have differences, and with Apple Music, Apple has focused on human curation. While there are some algorithmically created playlists, a lot of the content highlighted on Apple Music is done by Apple Music editors. 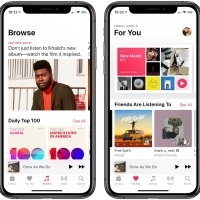 Apple offers regularly updated personalized playlists in a "For You" tab, including a favorites mix, a chill mix, a friends mix, and a new music mix, along with other playlist options that are updated on a daily basis. 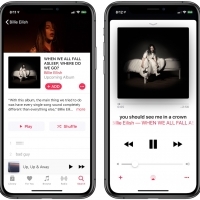 Apple Music also often has exclusive album releases, documentaries, and music videos that aren't available on other platforms as a way to lure subscribers. Beats 1, Apple Music's 24/7 live radio station, is also one of the service's most unique features. It features songs curated by DJs along with a multitude of special shows, sometimes created by artists. Apple Music is available in over 100 countries and regions, with a full list of countries available on Apple's website. 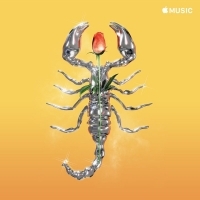 Apple music works on all of Apple's devices, including iPhone (CarPlay included), iPad, Apple Watch (with no iPhone on LTE models), Apple TV, Mac (in iTunes), and HomePod. It's also available on non-Apple devices, so you don't need to be an Apple user to get it. 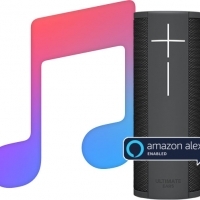 It works on on PCs with the PC version of iTunes, on Android devices with the Android Apple Music app, on Sonos devices, and on Amazon-branded Echo devices. Unlike Spotify, Apple Music does not offer a free ad-supported music tier. A paid subscription is required for all Apple Music content. 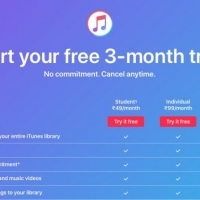 A standard Apple Music subscription costs $9.99 per month in the United States. With UNiDAYS verification, college students can sign up for a discounted Apple Music subscription that costs $4.99 per month. A family plan is available for $14.99 per month, and it allows up to six people to listen to Apple Music. A family subscription requires Family Sharing to be set up, which requires all people in the family to use the same credit card for iTunes billing purposes. Pricing does vary by country, but is similar to the U.S. pricing. In the United States, Verizon subscribers with Beyond Unlimited or Above Unlimited data plans can access Apple Music for free. Apple offers free three-month free trials for Apple Music, and in some cases, has been known to offer additional trial months to encourage listeners to sign up for a paid subscription. Trying to decide between Apple Music and another service? Make sure to check out our guides comparing Apple Music with other streaming music options that are out there. 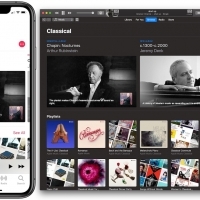 In a nutshell, Apple Music is the ideal choice if you're in the Apple ecosystem, have a HomePod, prefer human-based curation, and already have an existing iTunes music collection. Apple Music uses 256Kb/s AAC (Advanced Audio Coding) files. For comparison, Spotify, Apple Music's largest competitor, uses 320Kb/s Ogg Vorbis files, but while that sounds like it's better quality, the two are not identical. Both AAC and Ogg Vorbis are different compression formats with different sound profiles, but both are similar and the average person isn't going to be able to tell one from the other. CNET has a great comparison testing the sound quality of Apple Music and Spotify. 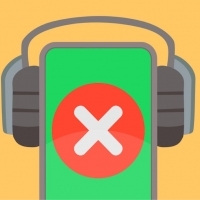 You can download songs from Apple Music for offline playback, but the content that you download is protected by DRM (digital rights management), much like other streaming music services. 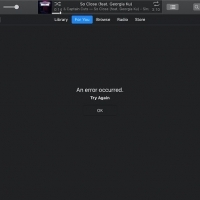 If you cancel your Apple Music subscription, the Apple Music songs that you've downloaded were no longer work. 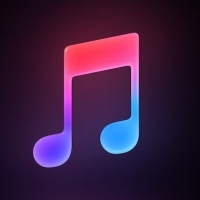 Apple Music songs also can't be transferred to other devices, downloaded, burned to CD, or used off device in any way. 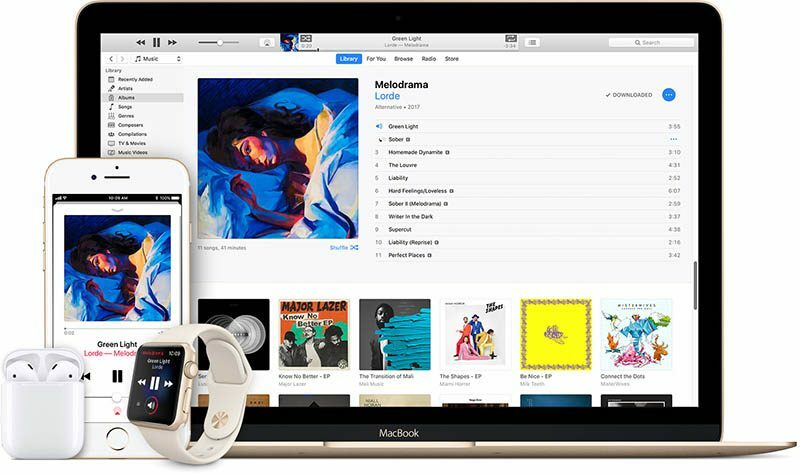 Note that with iCloud Music Library enabled, all of your Apple Music content will be available on all of your Apple Music-compatible devices. 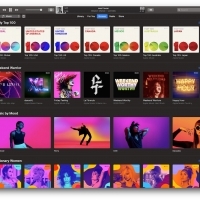 Have an Apple Music question or tip that you don't see available in our guide? Email us at tips@macrumors.com. Apple Music has surpassed Spotify's paid subscriber count in the United States, according to sources familiar with the matter who spoke with The Wall Street Journal. 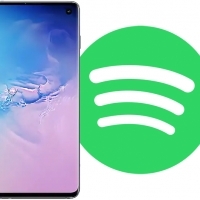 The shift reportedly happened earlier in 2019; Apple had more than 28 million U.S. subscribers in February compared to Spotify's 26 million paid U.S. subscribers. Similar news broke last summer from an industry source, but now months later the WSJ is corroborating the report. According to the paper, Apple Music has been adding subscribers "more rapidly" than Spotify, with a monthly growth rate of 2.6 to 3 percent, compared to 1.5 to 2 percent for Spotify. Apple Music is starting to see growth in areas outside the United States as well: Apple Music is growing faster globally—at a rate of about 2.4% to 2.8%, compared with Spotify’s 2% to 2.3%—and the gap is starting to close in other markets outside the U.S., according to the people familiar with the numbers. The numbers reported today refer only to paying subscribers and exclude any user on the Apple Music three-month free trial or the Spotify ad-supported subscription tier. If the figures did include the free tiers, Spotify does have many more users overall in the United States. In February 2018, the WSJ predicted that Apple Music would soon overtake Spotify in the U.S., but thanks to Spotify's numerous bundle offerings with Hulu and Showtime, Spotify remained in the lead for a while longer. Apple Music does offer discounts for families and students, but has yet to partner with another streaming video company to offer a bundle like Spotify. 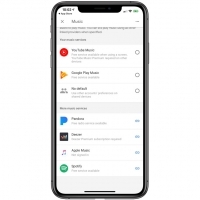 Apple has updated its Apple Music app for Android devices, introducing the redesigned Browse tab that debuted on iOS last week and new support for Chromebooks. The new Browse tab has been tweaked to highlight an assortment of different playlists from various musical genres to make discovery quicker and easier. Android users will now find Apple's "Daily Top 100" playlist featured prominently at the top of the section, just below the traditional carousel of new music. Apart from that minor refresh, the update brings official Chromebook support to the Android app, which basically means users can access Apple Music from Chrome OS on their Google notebook. According to the release notes, this version of Apple Music for Android also fixes various bugs, so users should also find it runs a bit more stable than previous versions. 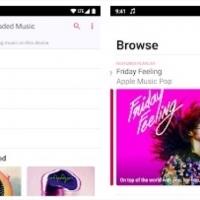 Apple Music for Android is available to download for free from Apple's website and on the Google Play Store. 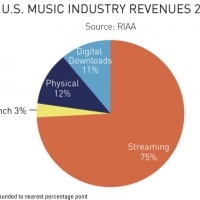 Streaming music services like Apple Music, Spotify, Google Play Music, Pandora, and others are continuing to grow in popularity and in 2018, were responsible for 75 percent of total U.S. music industry revenues, according to a new year-end music industry report released today by the RIAA. [PDF] Revenue from streaming platforms grew 30 percent year over year and hit $7.4 billion. Total music industry revenue for 2018 was at $9.8 billion, up from $8.8 billion in 2017 and $7.6 billion in 2016. 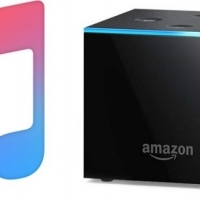 Digital downloads from storefronts like iTunes made up 11 percent of total revenue in 2018, and physical sales of records and CDs made up 12 percent. Digital downloads fell for the sixth consecutive year and were eclipsed by physical sales, which were also down, with the exception of vinyl record sales (up 8%). Paid on-demand subscription services like Apple Music were responsible for much of the music industry's revenue growth, with ad-supported services and customized radio services making up a smaller portion of the growth. Overall subscription revenues increased a total of 32 percent from 2017 to 2018, totaling $5.4 billion, thanks to 42 percent growth in the average number of paid subscriptions. The RIAA does not break down revenue by subscription music service, but at last count, Apple Music had 50 million paying subscribers, while Spotify had 87 million.